The only modernized town of the bunch of these Islands is the majestic administrative capital of the Andaman and Nicobar Islands, Port Blair. Port Blair takes its name from the name of the British Lt. Archibald Blair who was asked to survey the islands way back in 1789. Although native tribes always inhabited the place, the British decided to put up a penal settlement here after the first upsurge of the freedom movement in 1857. 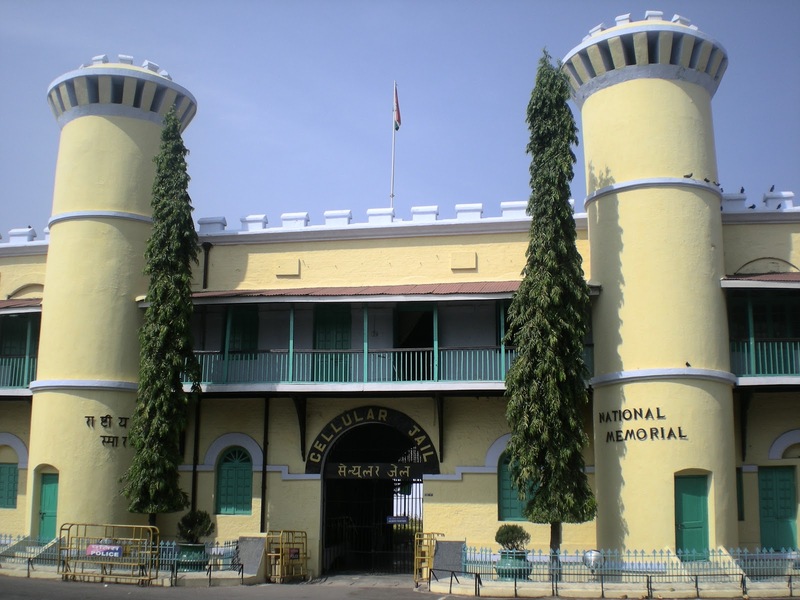 Port Blair gave importance to the region when the cellular jail was constructed here to torture the freedom fighters. This was the most infamous part of the town that sent chill down the spine of the Indians as they referred the place as the black water or Kaala Paani. Today Port Blair stands a mute witness to the historical torture. It has now become a melting pot of many cultures and a mini India in itself. The town was used as a settlement platform by the Indian government for the refugees coming from various places to India. It has also become the prime tourist centre of the islands with many places of historical importance and natural charm around it. The small sleepy town today has an airport bringing flocks of tourists over here to live in the lap of natural luxury which is not found anywhere around. The luxurious forests and the unexploited beaches lined with historically important monuments are the places of tourist interest in Port Blair. Being near to the sea, seafood is the favourite amongst the people and the rare fruits that are specialty of this region are the main ingredients in the diet of the people living here. Of course the people coming from various cultural background have retained their culinary flavours, most have adapted to the new environment around. The clothes are also modernized today. But the local and the native tribes have maintained their distinction by not mingling with the modern people. Their culture, their food habits and their life is totally different from that of the normal people of the region. Location: Located in the south of the islands, Port Blair is the capital of these islands and the only entry point to these islands. It is also the only place where foreign nationals can go to. Importance Capital and the only entry point to the Andaman & Ncobar islands. 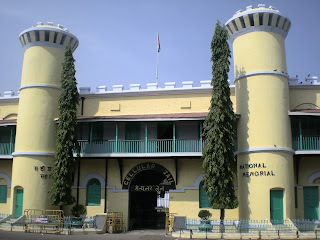 Cellular Jail located in Port Blair was built by the British to jail the freedom fighters and other convicts brought to the island to serve their sentence. Construction of the building started in 1890 and took 18 years to complete. Individual cells were built in the jail for solitary confinement of the prisoners and thus it acquired the name 'cellular’. The jail is now a memorial and a national museum. A moving sound and light show, narrating the saga of the freedom struggle is staged every day in the jail. A Government Research farm where research into spices such as cloves, nutmeg, cinnamon, coconut and pepper are conducted. The farm sprawls across 80 acres of land, 15 km from Port Blair, on the way to Wandoor. Barren, the only active volcano in South Asia, is a small island in eastern location of Andaman group of islands in Indian territory. This island lies 300 m above the sea level and the volcano in this place erupted last in 2006. A deep void land, the face of the volcano, is an attraction to the tourists. This is a barren region uninhabited by the people. This is a natural habitat for wild goats which live here by drinking the salt water and is a unique feature of this island. Havelock Island, mostly inhabited by Bengalis, is situated nearby Port Blair. The villages in this imposing picturesque Island are identified with the numbers. The Main bazaar is in Village No 3 and the boat dock is in village No 1. 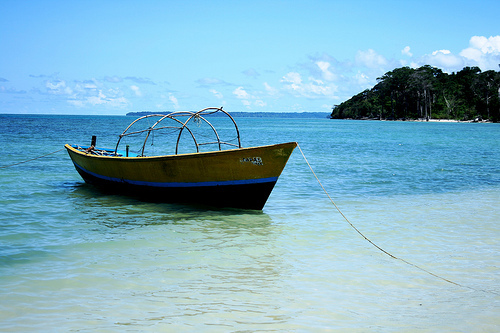 Havelock Island is an ideal location for the enthusiasts tourists to engage in sunbathing, beachcombing, swimming, surfing, beach camping and snorkeling. 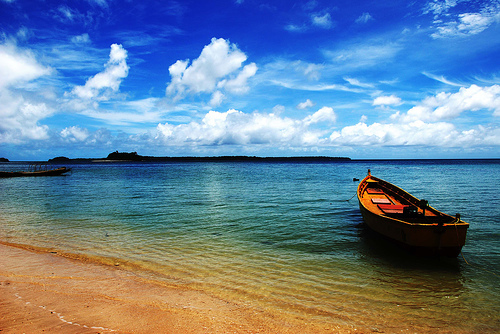 The stunning beauty of the nature is the prime attraction of this Island. The Marine Museum, also called Samudrika, is an exciting site in Port Blair with a huge collection of corals, shells and about 350 species of marine life. It also includes displays of the tribal people of the island and their lifestyle, of marine life and archaeology. The museum is divided into five sections. It is open to public from 9 am to noon and 2 pm to 5.30 pm, except on Sundays and public holidays. Barefoot at Havelock Jungle Resort is the only resort in the Andaman Islands that is eco-friendly and promotes sustainable tourism development. The resort is spread over 7 acres of land that is free of fertilizers and pesticides. The entire construction of the resort is done with environmental friendly and indigenous raw materials. Infants and children below the age of 5 years will be complimentary on the adult meal plan without any extra bed. If an extra bed is required, then the above child rates apply. Children between 5 – 12 years will be charged as per the child rates. Children above 12 years or third adult will be charged as per extra adult rates. 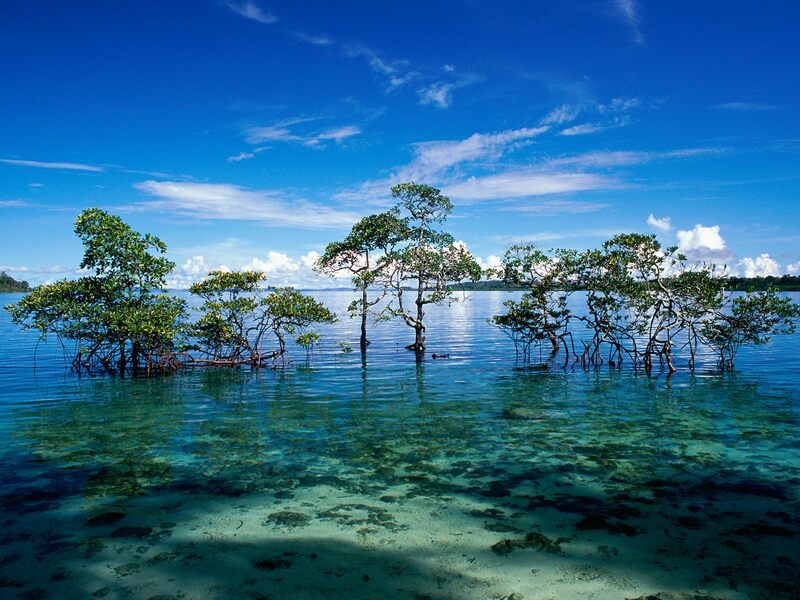 Port Blair, the capital city of the Andaman Islands, consisting of more than 572 islands and islets is spread over 8,249 sq kms of the Indian Ocean. It's that rare phenomenon: an unspool beach resort, whose principal attractions are the clear sapphire waters of the sea, the golden shores, the breathtaking coral formations, the flora and fauna, the endlessly fascinating marine life and the native people. Hotel Sentinel – named after a local Tribe of Andaman and Nicobar Islands, is situated in the heart of the Port Blair city at Phoenix Bay. The hotel is surrounded by the lush green gardens provides the best of the leisure and amenities to the tourists. The royal welcome starts at the reception and through the sojourn. The Hotel presently offering 53 Rooms with many different layouts, luxury, modern amenities. The friendliness and the personalized service experiences you a new feel at the Hotel. Hotel Sentinel have been successfully handling the accommodation, food and beverage, travel requirements and providing other allied services some of the major corporate clients of India and Abroad. Peerless Resort is only hotel in Port Blair to rise on its only beach - Landing you right in the heart of Andaman's magic. From its lush green surrounding the resort looks onto the blue sea - The perfect setting for the most memorable holiday. Peerless Resort puts together all ingredients for non-stop fun under the sun. Make yourself at home in its air-conditioned rooms with sea facing breezy balconies or any of the cozy cottages. 24 hours hot & cold running water, excellent service and air-conditioned airport transfers (available on request) are some of other highlights. The resort has splendid arrangement for large consortiums too. Those can efficiently accommodate and cater up to a thousand diners. Megapode Nest is a three star hotel having 20 standard rooms, 4 deluxe rooms, 4 Nicobari cottages and 2 eco-friendly cottages. All the rooms and cottages are air-conditioned and provided with telephone, colour TV etc. Nicobari Cottages are provided with refrigerator, bathtub and balcony overlooking sea. 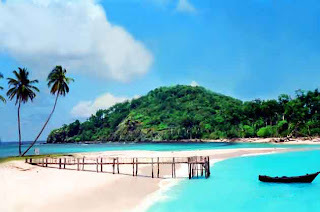 Book Port Blair Hotels and Tour Packages.